The Lexus LC 500 and 500h flagship coupes, Jalopnik favorites, are apparently getting a dealer cash incentive until the end of the month. This is big if you’re currently in the market for one. With starting MSRPs of $92,995 and $97,505 respectively for the LC 500 and LC500h, the cars aren’t exactly cheap to buy. But, as CarsDirect reports, increased rebates at Lexus dealerships this month include a new dealer cash incentive of as much as $5,000 on all LC versions. You won’t see it advertised, but the brand is giving dealers up to $5,000 to help lower prices for those looking to buy. That’s a smidge higher than the $4,000 Lexus is offering toward leases. The offer is set to end July 31. However, you may not want to wait. 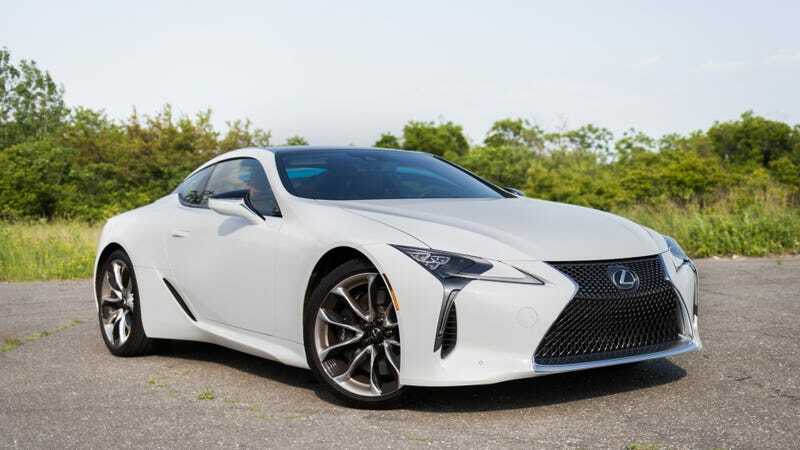 CarsDirect also notes, however, that despite this being the first such offer its seen since the LC coupe was launched, dealers have “full discretion” on whether or not they want to offer the deal to customers. We have reached out to Lexus for comment and will update if we hear back. Update 4:05 p.m. EST: A Lexus spokesperson confirmed the $5,000 dealer cash incentive.